The Costa Brava is a 160-kilometre stretch of beautiful, rugged coastline in the region of Catalonia in the North East corner of Spain. Natural beauty, endless miles of sandy beaches and summer sunshine. You'll find modern, international tourist resorts with high-rise hotels alongside unspoilt fishing villages, sheltered rocky coves and medieval towns with ancient castles. The Costa stretches from Blanes, North of Barcelona, to Roses near the French border. It has 4 regions: L'Alt Empordá, Baix Empordá, La Selva and Girones. Blanes, a harbour on the Costa Brava, the Wild Coast, at the border of the province of Barcelona, marks the beginning of the most light-filled part of the Costa Brava. The Costa Brava is formed by a lot of little towns and small fishing ports like Cadaqués, which was the residence of Salvador Dalí. 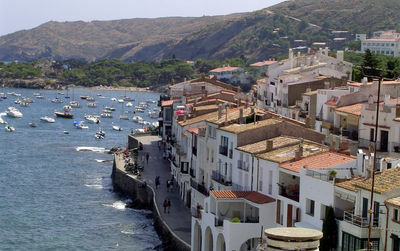 Calella de Palafrugell where you can listen to the famous habaneras in a festival celebrated once a year. 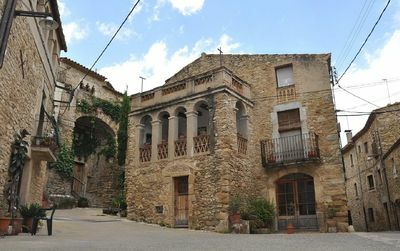 In the 200 kilometres we will find little Mediterranean towns like L'Escala, Palamos or Sant Feliu de Guixols. You can visit the Parc natural de Cap de Creus or the Parc Natural Aiguamolls in L'Empordà, the Illes Medes in L'Estartit, the city of Roses and Empuries, the medieval cities like Pals and Peratallada, the ancient city of Tossa de Mar and the beautiful botanic gardens in Blanes and Lloret de Mar. Marvellous beaches and many other entertainments will fill your time in the Costa Brava with an average annual temperature of 17º Celsius, moderate rain and 2500 sunny hours every year. 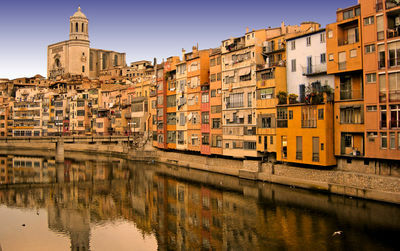 l'Alt Empordá region is situated at the Northeastern most corner of the Iberian Peninsula, where the Costa Brava begins. 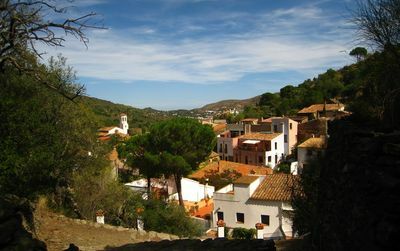 El Baix Empordá is known as the "'region of coves"
La Selva, also known as the region of waters, it is the southernmost of Girona's regions and is characterised by its abundant water resources. 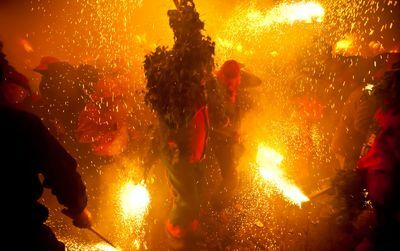 The Maresme: the South of Costa Brava! 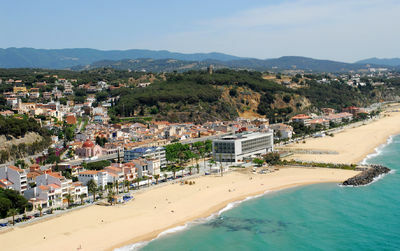 The Maresme is located on the coast in the South of Costa Brava. 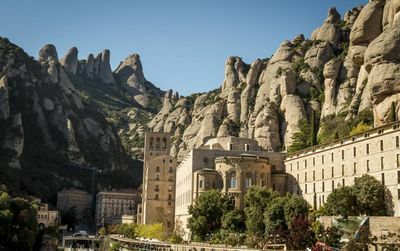 The irresistible visit of the Montserrat Monastery and Penedès vineyards! A selection of Montserrat food and wine tours, departing from city centre for a day or half a day visits of Montserrat Monastery and the surrounding vineyards! Inaugurated in 1974, the Dalí Museum contains the broadest range of works spanning the artistic career of Salvador Dalí (1904-1989), from his earliest artistic experiences and his surrealist creations down to the works of the last years of his life. 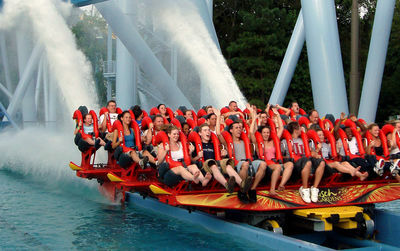 PortAventura Park offers 40 attractions that will delights adrenaline junkies. Discover Angkor and you embark on a fantastic adventure in lost kingdom, go for the 8 loops of vertigo of Dragon Khan, rising to 100m free drop test Hurakan Condor or try Furius Baco, the fast shuttle that will launch you from 0 to 135km/h in less than 3.5 seconds. 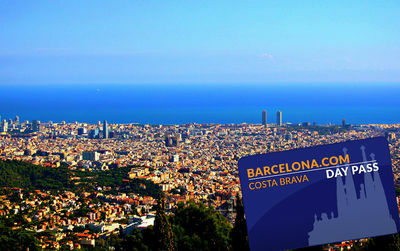 Visit Barcelona from the Costa Brava: discover the Sagrada Familia with a skip the line ticket. Take advantage of the hop-on hop-off bus to visit the city and its main monuments with 20% off for many attractions with our "Barcelona.com Day Pass". busco playas nudistas y camping nudista para ir pareja con niño en Cataluña, a ser posible por la Costa brava.